Monolithic fully windtight breather membrane for walls. 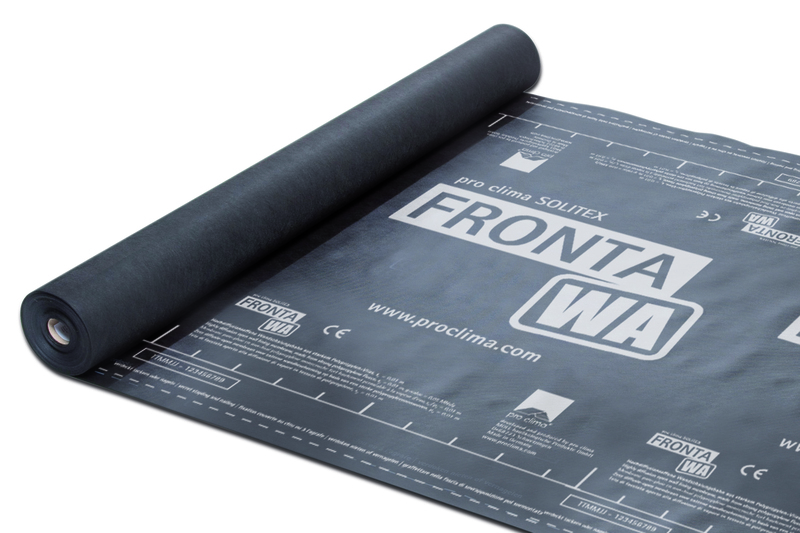 SOLITEX FRONTA WA membrane is specially designed to protect and enhance timber frame structures. It can be applied in the factory to the external face of a pre-fabricated wall panels, or on site to timber frame wall assemblies. For sealing overlaps we recommend using Tescon Vana, you will typically require 3 rolls of tape to every roll of membrane. Strong, 3-ply structure for protecting the wall structure. Protective function as a result of nonporous functional membrane that actively manages moisture. For use behind closed façades. We can send you a quote for the membrane along with other items or send you a free sample.